At Downbelow, we are committed to giving our best to our guests, program course participants and professional course students. It does not end there. 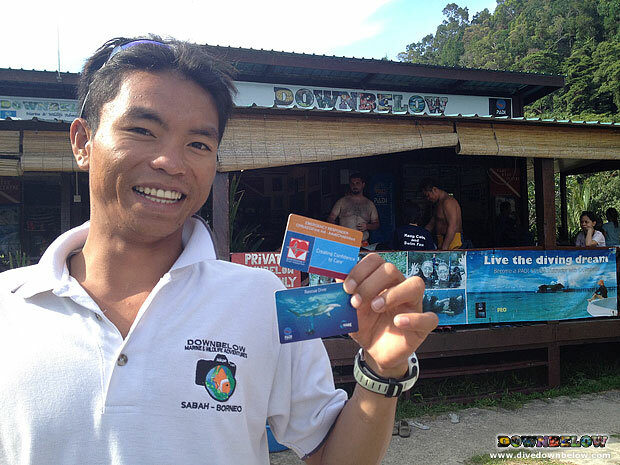 Everyone who works at Downbelow has the opportunity to improve themselves especially their professional careers. We continually support and encourage our staff to use the facilities and expertise that is available to them at our PADI 5-Star IDC Dive Centre. So we are proud that our boat captain Cindy heeded the call and completed his Rescue & EFR courses recently. As a boat captain and being around divers most of the time in his line of duty, Cindy has taken a big step in emergency preparedness and feels confident that he can provide care should an emergency situation arise. Find out more about our Rescue Diver course or Emergency First Response (EFR). You can also call us to enquire about these courses.